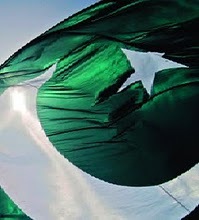 In the earlier days of this blog, I posted some "forecasts" about the future of Pakistan. Recently, I have received several suggestions that these should be revisited. So, here is the original post of 3 October 2008 without any modifications. Disenchantment with the West, having acquired a new hype in July, is likely to escalate relentlessly because there is a regrettable lack of quality communication between West and the people of Pakistan, especially the unschooled masses who have been the true balancing factor in the life of this country. Once the phase of disenchantment reaches its peak, an increasing number of Pakistanis including the educated segment are likely to become culturally and mentally isolated from the West. Conflict of interests easily explodes into its actual equivalent when negotiations fail. The absence of quality dialogue between West and the masses of Pakistan also can lead to an actual conflict if disenchantment and isolation are not addressed in the earlier stages. Pakistan was all about discovering new possibilities but the various theories about forms of government tried out here, and the existing perception about federation, have been West-defined to various extents. These may get affected as a consequence. In that case, for a decade beginning around 2017, it may seem as if the idea of Pakistan as conceived in the Lahore Resolution of 1940 has become irrelevant in some ways if not all. The units which now constitute the federation of Pakistan have been interdependent since the earliest known period of civilization. This inherent unity of the region can easily surprise the onlookers by discovering a new channel for its continuation. It may be seen that at each stage there are possibilities for preventing conflict and facilitating healthy growth. They require vision and where there is no vision, people perish. The following is a review of my book Psycho Mansion by the historian and literary critic Dr. Muhammad Reza Kazimi. It was published in the 'Books & Authors' section of Dawn on Sunday, 8 May 2011. Khurram Ali Shafique is in search of our zeitgeist. That he is writing a multi-volume biography of Iqbal should come as no surprise; but that his quest has come to focus on Ibne Safi is bound to raise some eyebrows. But however faint, a link is discernible. When Shafique writes on Iqbal, he is careful to place him in his mileu; Akbar Ilahabadi, Agha Hashr Kashmiri, Zafar Ali Khan and M Aslam cross the stage, so that the aspirations of South Asian Muslims are highlighted. In this framework the fact that Iqbal presented an original philosophy within a system takes second place to the fact that although representing haute culture, Iqbal could touch the cord of a people who hitherto were responsive to the harp of decadence. But why Ibne Safi? One: Ibne Safi has a moral stance towards crime. He argues that Sir Arthur Conan Doyle promoted through Sherlock Holmes a scientific and not a moral approach. As such Ibne Safi is the spiritual successor of Iqbal and Muhammad Ali Jauhar. Two: That in Ibne Safi’s work we find the largest number of scientific and philosophical allusions. Three: Ibne Safi has represented his society as no other contemporary has done. Khurram Ali Shafique contends that the practitioners of classical literature concerned themselves with characters that belonged either to the lower strata of society, or those who were mentally ill.
Four: Barring Mirza Ghalib and Muhammad Husayn Azad, Ibne Safi writes the finest Urdu prose. Five: The ability to foresee, without which no writer can become great. We pass on these judgments without comment, as this is the first ideological interpretation of detective fiction. What cannot be disputed is that Ibne Safi was the first popular prose-writer of Urdu. How much was this due to his style and how much to the content needs to be computed. Ibne Safi was a popular writer with conservative ideas. He started writing in India with the aspect of a liberal author, but step by step, he climbed the tower of conservatism, so much so that in the foreword to Doosra Patthar dated November 1979, Ibne Safi clearly proclaims that in Islam there is no room for democracy. Ultimately Ibne Safi’s ideas seeped through from his forewords to his text. It is not possible now to ascertain whether his conservatism contributed to his popularity, but it is clear that a message seemed to drive his narrative. The narrative is so fast-paced, the characters so appealing and the fantasy so engrossing, that one can read on without noticing what lies between the lines. The generation that lived through the times when Ibne Safi’s novels were making their appearance can relate to the milieu. From 1955 to 1980, the time that Ibne Safi lived in Pakistan, more crime could be found in the pages of his novels than the city sections of newspapers. Thus, even the incidence of crime was a fantasy; this is how Ibne Safi was able to outstrip Shaukat Thanvi. Thanvi’s mainstay, barring his few masterpieces, were romantic and racial fantasies; but his refusal to take himself seriously — and I use these words advisedly about a humourist — caused his once popular output to go out of print. At this point we could mention Shafiqur Rahman, a popular writer who still commands sale, but since he parodied ideologists, he is not likely to attract the attention of Khurram Ali Shafique. Ibne Safi wrote fantasies about what Afzal Ahmad Sherwani on these pages called the futuristic Zeroland. 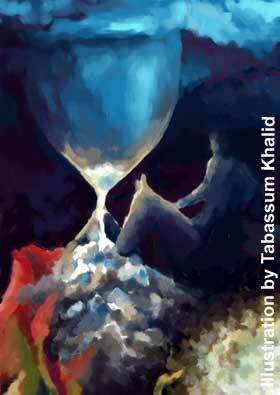 Quite contrary to what Ibne Safi wrote, Tilism-i-Hoshruba did not have a lasting hold on his imagination. Ibne Safi had too strong a moralistic streak for that. Both his heroes, Ahmad Kamal Faridi of the detective stories and Ali Imran of the thrillers, are bachelors, and moreover abstemious bachelors. It is Shafique rather than Ibne Safi who has a shared, but indirect affinity with the dastans. Muhammad Hasan Askari had culled the non-bewitching scenes from Tilism-i-Hoshruba to depict the social scenes, and Shafique has done the same with Jasoosi Dunya and Imran Series. In this volume, Shafique has eliminated the passages depicting detection or espionage, and has selected the pieces which are social and humourous. When we pass on to the excerpts themselves, after reading the touching preface of Ahmad Safi, we find them well chosen. As an example of how Ibne Safi’s attitude changed over the years, Shafique focuses on the writer’s comments on Josh Malihabadi. In his 1953 novel Bhyanak Jazeera, Ibne Safi has Faridi recite a verse of Josh with praise bordering on the blasphemous. Ten years later, in Derh Matwale, the villain recites a poem by Josh called “The Stairs of Sound” and comments that Josh has outstripped Wordsworth. The third reference to Josh in Pagalon ki Anjuman, 1970, is really a dig at Saleem Ahmad’s casual style of literary criticism. In Paharon ke Peechhe, Ibne Safi has Imran disparage the philandering Josh describes in his autobiography Yadon ki Barat, 1970. Thus Ibne Safi comes full circle; the hero is openly moralising. Josh, the old, married Casanova, is censured for chasing after women, by the outwardly amusing but inwardly austere bachelor who is chased by women. 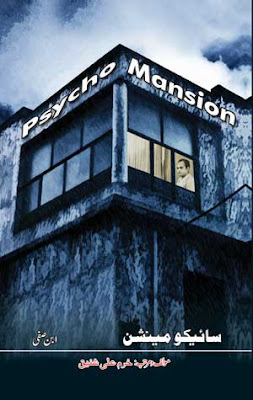 The similar but side hero, Hameed, chases women, but recoils when the woman makes an advance and the gigantic Qasim with a gargantuan appetite, who is frustrated by a physically incompatible spouse, all point to the fact that a psychological study of the works of Ibne Safi can be as rewarding as a social study. The humourous half of the excerpts is also dominated by the characters who display humourous traits: Ali Imran who intermittently puts on the mask of idiocy and innocence; Hameed with his escapades; and Qasim whose huge figure is dominated by a skinny wife, all these make for hilarious situations. Promiscuity is left to villains like Sung Hee, a cross between Fu Manchu and the Old Man on the Mountain. It must be noted, however that there are two types of literary humour. The first, humour as genre, and the second, humour as a trait. As for the first, Ibne Safi attempted it without success. Aab-i-Wafat, a spoof on Aab-i-Hyat, though it contains a few sparkling passages, fails to grip. It is in the latter category that Ibne Safi had a runaway success. Why? The reason is that in his incidental passages of humour, Ibne Safi has Imran dress in a bizarre manner, behave in a bizarre manner and has his characters play pranks. In the excerpt “Sabiha”, from Bebakon ki Talash, we find a girl writing a love letter to herself to rile up her mother and grandmother. Her prank takes an unexpected turn when, instead of an imaginary suitor, the hero Imran is found. In another scene, Imran takes on a renowned classical singer for singing a thumri. Imran dislikes the heavily mustachioed singer voicing lyrics in which a wife complains of the behaviour of her husband’s sister. According to Shafique, Ibne Safi found this musical convention transsexual. While it is too much to expect that the dicta of Shafique will find universal acceptance, it shall be conceded all around that he has written a provocative book. In this he resembles the protagonists of Ibne Safi. Let us remember that literary criticism of crime fiction is a difficult undertaking. Charles Osborne’s The Life and Crimes of Agatha Christie, barely scratches the surface; Somerset Maugham’s article, “The Decline and Fall of the Detective Novel”, received three rejections. Shafique has acquitted himself far better. There are two more volumes to follow. What is khudi? This is one of the most frequently asked questions about the philosophy of Iqbal. How about we skip the question for now and go directly to the more interesting issue of what we get by developing khudi (whatever this mysterious thing may be)? In the simplest words, Iqbal says that by developing it you gain control over the visible and invisible forces of the universe. Example: a qalandar (a Sufi of a special order) got upset with the governor of his province and wrote to the king, “Transfer this governor or I shall get you transferred.” The king trembled upon receiving the message and followed the instruction. Iqbal mentions this incident as an example of what the “learners” can get from his teachings. Do you want to have the kind of power this qalandar had in this story? Iqbal says that he can teach it. This is how I summarize ‘Secrets of the Self’ (‘Asrar-i-Khudi’), the first part of the book Secrets and Mysteries (Asrar-o-Rumooz). In the second part of the same book, I find Iqbal telling us how each one of us can develop this kind of power. Anybody interested? 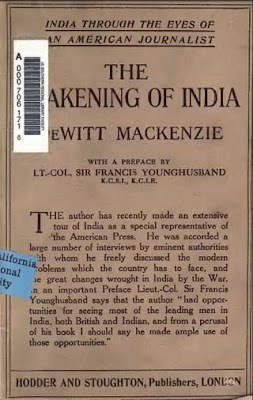 The following assessment of Iqbal was written by Sirdar Jogendra Singh, a prominent literary personality of the sub-continent, and was published in the concluding pages of The Awakening of India (1917) by DeWitt Mackenzie. A great poet has arisen in the Punjab whose poems are consecrated to the ideas of new time. 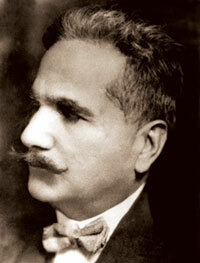 Iqbal has initiated a new era in Urdu poetry. He combines the imaginative philosophy of the East with ardent aspirations of the West. Like Moses he smote the rock, and fresh streams of poetry have leapt out in response, on whose swift and translucent surface we can hardly breathe. He does not sing of self-effacement, but holds forth self-affirmation as essential to self-preservation. The life value of self-affirmation he illustrates in a poem of great dignity and grace, 'A thirsty bird mistake a diamond for a drop of water, but it cannot make it a source of life to itself. It sips the soft morning dew from the painted petals of flowers which lose their own brief existence in the yielding. The coal in essence is the same as a diamond, and yet coal feeds the flaming furnace while the diamond adorns the crown.’ In a poem of keen, strong, rousing power he draws the moral that self-affirmation is the key to self-preservation. Iqbal in this poem has broken away entirely from the canons of accepted opinion. He is the precursor of great events in the domain of literature. He is the poet of reality, close to the very truth of things, in contradistinction to metaphysics and mere sentiment. His force, anger, even his gloom and freedom from mystic reticence, make him a spirit of power. His ambition is to set the heart burning like a candle, to be consumed and yet in the very process of burning to illuminate the path for the unseeing eye.